Ben wishes everyone a Happy New Year! He’s doing great, enjoying school, and is active in youth activities at his church. He just completed another round of physical therapy sessions and has a new “boot” which he wears on his left leg at night. But the best physical therapy he can get is sports, and he is a star player on his basketball team! Thanks to everyone who follows Ben’s progress, and thank you for all your thoughts and prayers for our miracle boy. A young man of good character. What parent or grandparent could ask for more? We couldn’t be prouder of our miracle boy! Grandson Ben, 8-year-old miracle boy extraordinaire, is playing soccer this autumn after a year’s hiatus from the sport. Last year he opted not to play soccer and concentrated only on basketball and baseball. But he’s back on a local soccer team, enjoying it, and scoring goals! We are so grateful that our little guy (who underwent three brain surgeries at ages 4 and 5) continues to love and excel in sports. Please join our family in sending out healing thoughts and prayers for another little boy, named Levi, who has been in the hospital for almost three months now suffering from the same problem Ben had, arteriovenous malformation in the brain. 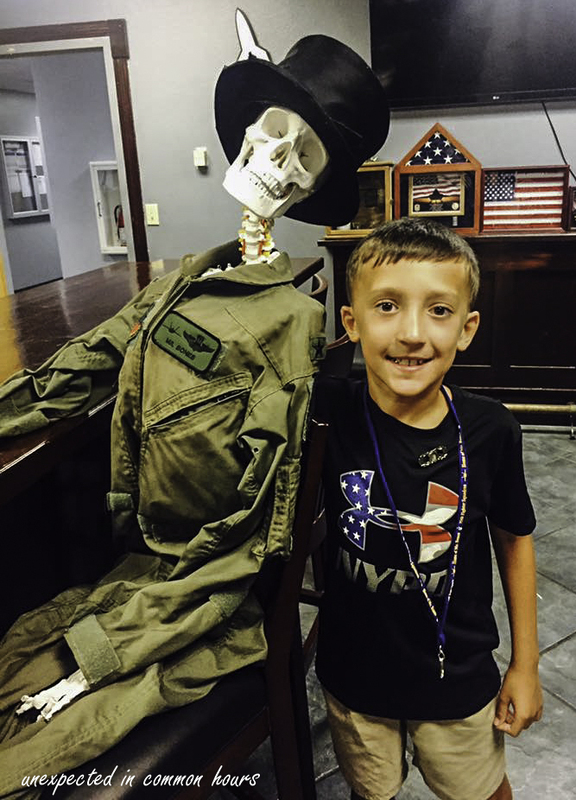 Levi, who is 10 years old, unfortunately had no symptoms and was not diagnosed until he experienced a severe brain bleed. His condition was touch-and-go at first, but he is now doing much better, although the prognosis for full recovery is not good. Sporting new eyeglasses, grandson Ben began a new school year yesterday in Grade 3. It’s unbelievable that our little miracle boy who underwent three brain surgeries at ages 4 and 5 is now in the third grade at school. Ben had a busy summer, spending time at the beach with cousins and his dad’s parents, attending a week-long summer camp in the mountains, going on a mission trip with young people from his church, and in his “off-time” attending a summer day camp while his mom and dad were at work. He’s a happy guy who makes friends easily, and he seemed to enjoy every minute of his summer holidays. We wish Ben much success in school this year, and once again, we thank everyone who has followed his story and kept him in your thoughts and prayers. Please join our family in sending out healing thoughts and prayers for another little boy, named Levi, who currently is in the hospital suffering from the same problem Ben had, arteriovenous malformation in the brain. 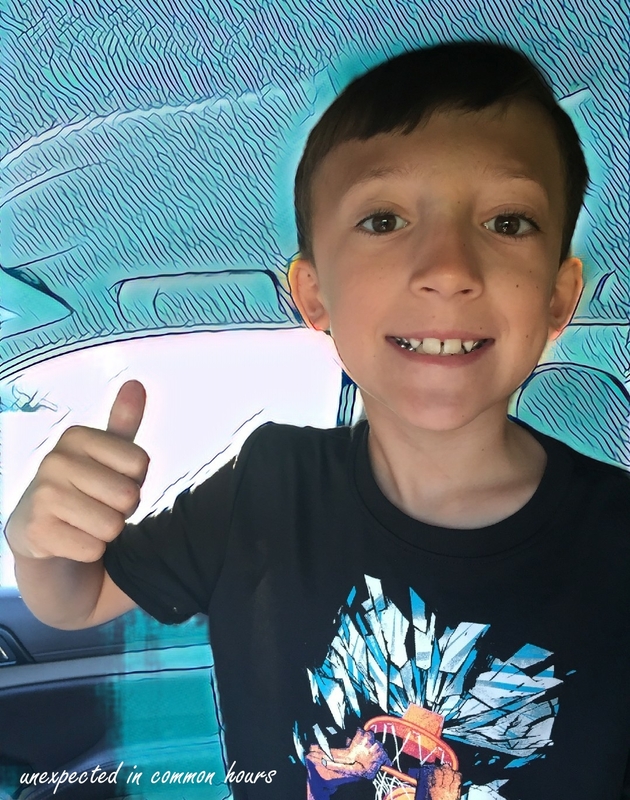 Levi, who turns 10 years old next week, unfortunately had no symptoms and was not diagnosed until he experienced a severe brain bleed about 30 days ago. His condition was touch-and-go at first, but he is now on the road to recovery, although the prognosis is uncertain. 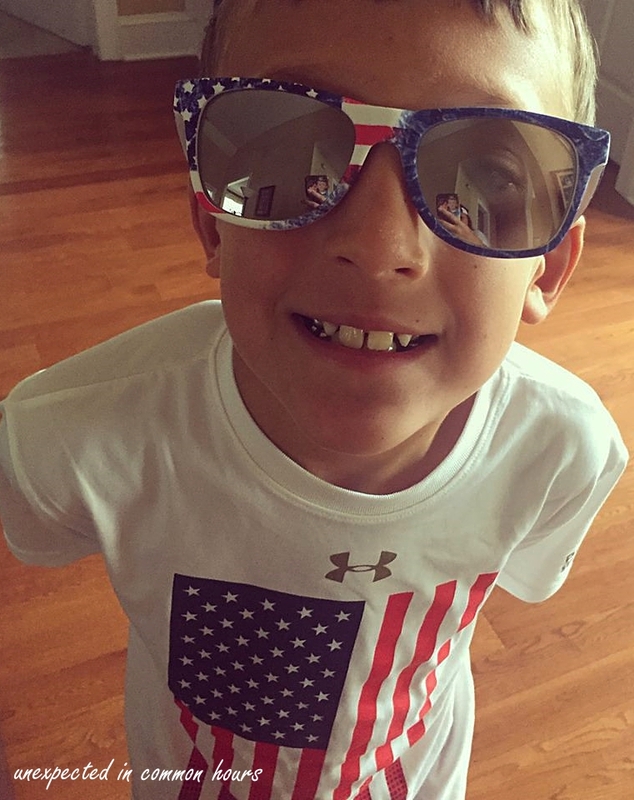 Ben is a kind, smart, loving, musically talented little guy who loves to play sports. He is active in his church, volunteers to help others, and works hard to complete whatever task is at hand. Tomorrow he will finish up this school year, having completed second grade with flying colors. We couldn’t be prouder of our miracle boy! During the school year, basketball and baseball were his sports of choice , and no matter what sport he plays he always wears number 32 on his team shirt. In April, Ben went with a large group from his church to a youth leadership conference in Nashville, Tennessee where he won accolades and awards for his participation in several activities and competitions. His dad is youth minister at their church, so Ben also gets to participate in many of the activities and volunteer efforts of the high school youth. This photo appeared in the local newspaper when the group volunteered to help out at a sporting event for handicapped youngsters. His well-deserved birthday party was on the hottest day we’ve had this spring, over 90 degrees (over 32 Celsius), and Ben and his friends were able to enjoy the inflatable water slide his parents rented for the occasion. 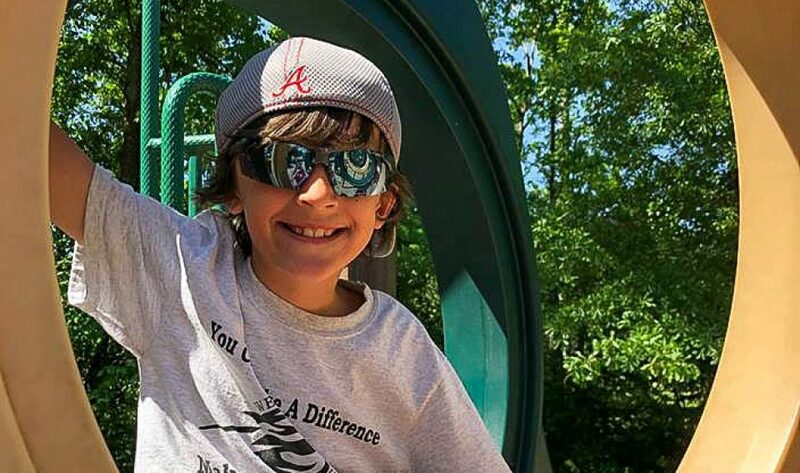 The following week, remembering the anniversary of his first brain surgery, his parents took him to Atlanta to an Atlanta Braves baseball game where his team won! As always, many thanks to all of you who have kept Ben in your thoughts and prayers! Thank you, #March For Our Lives! A sincere “Thank You” and words of encouragement to keep up the fight to all the young people who participated in the #March For Our Lives here in the U.S. and around the world. You have begun a movement for common-sense gun control laws that will save countless lives. You are our future. As I watched you all on television and heard the words you spoke, I was filled with an optimism that I have not experienced in a long time. Because no 7-year-old should have to experience what the kids at Parkland or Sandy Hook or countless other schools have experienced. No 7-year-old should even have to participate in active-shooter drills in elementary school. It’s insane! This past weekend our little hind catcher was given a catcher’s mitt that is over 90 years old. It was given to him by his grandfather (my husband) and was once owned by his great grandfather who played baseball on an industrial league team. The trademark on the mitt (which I had to research) was used by the Goldsmith Company on baseball gloves they manufactured between 1923 and 1925. Second grade, here he comes! It’s always great to have Ben visit! He’s a very kind and loving boy and is beloved by many, many people. We all wish Ben much success in 2nd grade! Thanks to all who have kept him in your thoughts and prayers! Great news! The results of MRI and the MRA scans on grandson Ben’s brain were excellent! There’s no problem with the original fistula repair, and no new fistula has formed. Dr. Berenstein in New York reviewed over 50,000 images and found no problem. Yay! Thank you, thank you to everyone who has kept Ben and his parents in your thoughts and prayers. Originally, when Ben was 3 years old, it was a problem with his eye that led his parents to seek out medical care. Ben was diagnosed with a dural AV fistula (a vascular malformation in the brain) which was causing pressure behind the eye. His little life was in danger, and he underwent a visit to the children’s hospital in Chattanooga, TN, stays in two children’s hospitals in Atlanta, GA, and three surgeries in New York City by a world-renowned physician before the problem was corrected. We are so, so grateful to Dr. Berenstein for saving Ben’s life and for continuing to follow up on Ben’s condition. Recently, his parents noticed a difference in that same eye, and this is what prompted the brain scans. Now that Dr. Berenstein has given Ben the “all clear” as far as the fistula is concerned, the next step will be an appointment with an ophthalmologist to have Ben’s eyes checked. There still is no word on results of the MRI and the MRA on Ben’s brain. Dr. Berenstein’s office in New York received the images, but Dr. B. was out of town this week. When he returns he must review over 50,000 images, so we do not expect to hear anything now until next week. 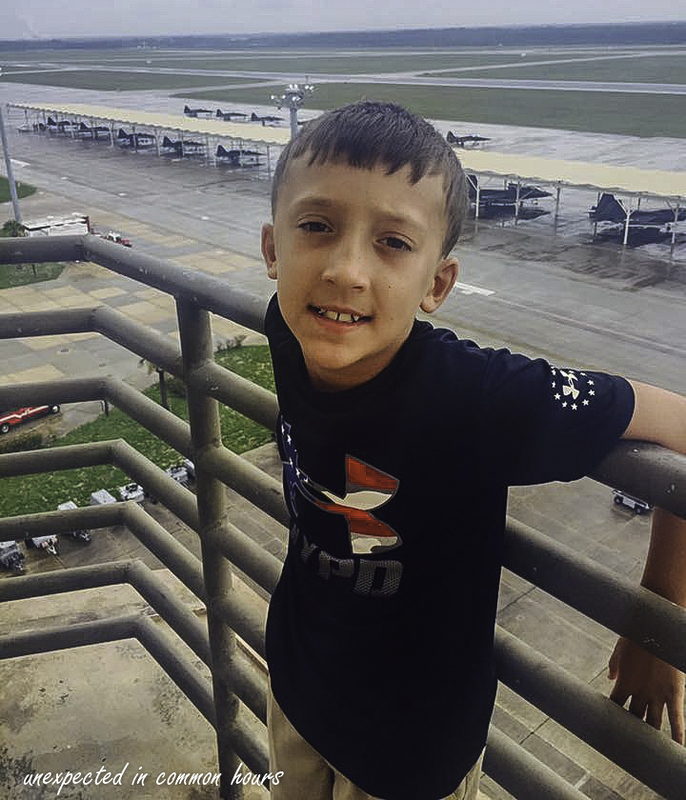 In the meantime, Ben has been at the beach with extended family and had an exciting tour of Tyndall Air Force Base which is nearby. 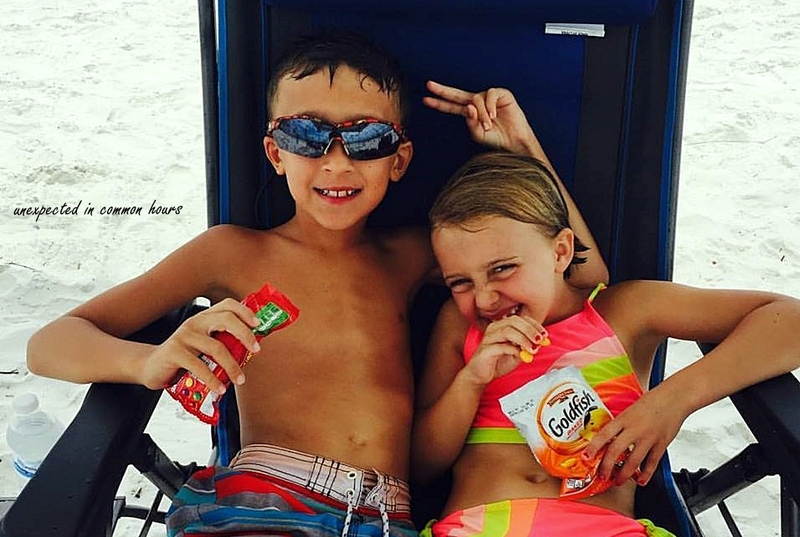 Ben with his sweet cousin, P.
Tyndall Air Force Base is the home of the largest F-22 fighter wing in the Air Force. The fighter wing trains F-22 Raptor pilots and other personnel for worldwide assignments to combat Air Force units. It also organizes, equips, and trains a Raptor squadron for immediate worldwide rapid deployment. 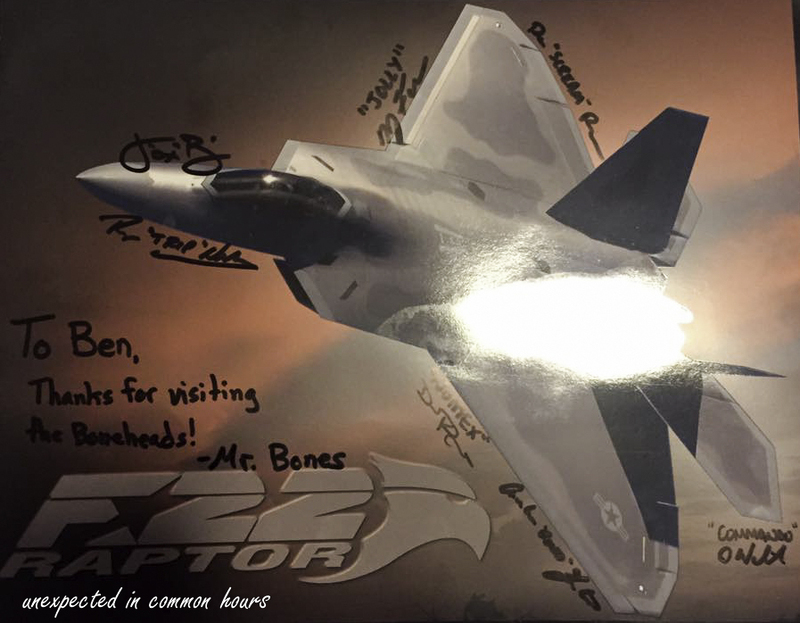 Ben’s dad arranged for a tour yesterday, and Ben was able to visit the air traffic control tower (where he actually cleared a pilot for takeoff), meet with F-22 Raptor pilots, attend a service dog demonstration, and eat lunch on the base. After visiting the control tower, Ben met two pilots from the 95th Fighter Squadron. 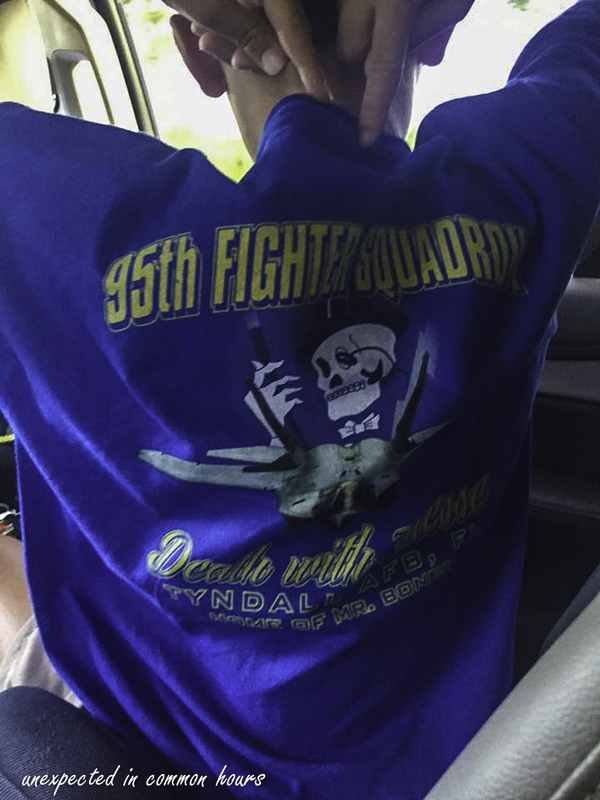 The 95th was first activated in 1942 and supported the Allied invasions of North Africa and Italy during World War II. After the war the squadron was assigned to the Alaskan Air Command and later to the Washington, D.C. area. In 1974, they were reassigned to Tyndall Air Force Base. Although they were inactivated in 2010 due to budget constraints, they were reactivated in 2013 and are the new operational F-22 squadron at Tyndall. Look at the legs on this kid! His doctor says that by the time he’s 17 years old, he will be 6’8″ (203 cm) tall! Please continue to keep Ben and his parents in your thoughts and prayers as we all await the results of his brain scans. This work by Believing for Ben is licensed under a Creative Commons Attribution-NonCommercial 4.0 International License. A Surprise Package for Ben from New York's Finest ! !